Running a family business is tough — nobody's gonna dispute that. In addition the general struggles that come with being an entrepreneur, it's personal. Your work life and life-life are often indistinguishable. It's hard to keep work away from the dinner table, let alone find time for a cross-country vacation. And family drama can too easily affect your bottom line when it interferes with work. However, the joys of running a family business can be worth the extra bumps in the road. On the flipside, it is personal and building a dream business together can be a beautiful thing. 1. The younger generation is the future of your business. When Sol Braverman founded Newark Nut in 1929, he never imagined it would become the Internet empire that it is today (to be fair, he probably never imagined anything like the Internet would exist, but that's neither here nor there). It wasn't until seventy years later that his grandson Jeff was a freshman in college and decided he'd should set the shop up with their first website (nutsonline.com). Though his dad wasn't a fan at first, within a few years Jeff joined the company full time and they were soon were running their business 100% online. 2. Take risks on what you believe in. Braverman knew the URL nutsonline.com wasn't going to cut it long-term, as he explained to . "The turning point was when we provided Jordan almonds to the Rachael Ray Show and at the end of the show she said, 'I'd like to give a special thanks to Nuts.com.' At the time, Nuts.com was owned by this guy in Guam who had bought up a bunch of URLs and was just sitting on them." So Braverman took a risk and bought the URL for a hefty sum of money — a sum he thought would take him 10 years to make back. We'd say it was worth it. In 2012 they relaunched the new site, and in 2013, Nuts.com brought in about $30 million in revenue. That domain name is one of the biggest things helping them thrive in the online economy. 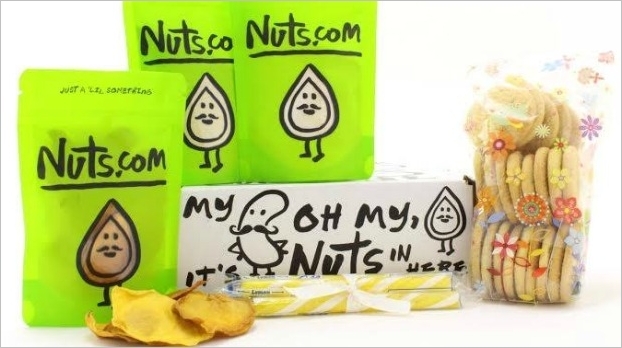 In the case of Nuts.com, even the younger Braverman never saw the company moving into wholesale distribution, but he's open to it now that they have the infrastructure set up. He also seems to be dreaming up new markets for Nuts.com to crack into (pun-intended). It's that kind of forward-thinking that will propel a family business to the next level. 4. Don't forget your roots. You want to stay (or become) current, but you also have to respect your family's traditions. The new branding has allowed Nuts.com to update and incorporate some of the little cartoon characters that were used in the former shop, for example. They've maintained that quirky, fun style while giving a nod to the history of the business. Do you run a family business? Any advice to share?